Chris McGrath/Getty ImagesJamal Khashoggi has not been since October 2. The investigation into his whereabouts have become a major international crisis. Warning – this article contains graphic descriptions of violence which readers could find distressing. 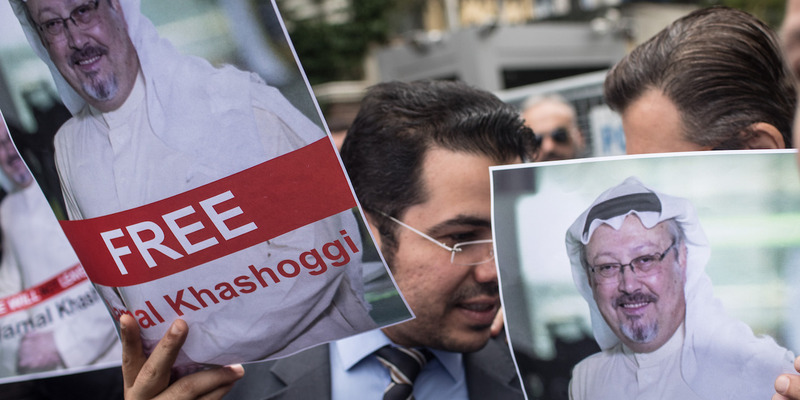 The disappearance – and alleged murder – of Saudi journalist Jamal Khashoggi has become a full-blown international crisis, with terrible optics for Saudi Arabia. Part of the reason behind this global attention is the gruesome details in reports of the alleged killing. Brutal, leaked accounts – which have not been confirmed – say that Khashoggi was drugged and partly dismembered while still alive, then beheaded, like a scene in a Tarantino movie. They have raised the stakes significantly for the Kingdom, galvanizing interest in how the case is handled. It is – of course – not the only reason the case has escalated so rapidly. Experts say its importance stems partly because of Khashoggi’s connections in Washington, and because it tests Trump’s relationship with Saudi Arabia and the GOP establishment. The case of the disappeared, and possibly murdered, Saudi journalist Jamal Khashoggi has escalated this week into a major international crisis. US Secretary of State Mike Pompeo has been sent to Riyadh and Ankara on a supposed fact-finding mission, and dozens of individuals, officials, and companies have distanced themselves from the Gulf kingdom over Khashoggi’s disappearance. Part of the reason behind this global outrage is the sheer depravity with which Khashoggi is said to have been killed. Turkish officials maintain that Khashoggi was killed inside the Saudi consulate in Istanbul, and have leaked gruesome details of the case and implicating Riyadh. An unnamed senior Turkish official told The New York Times that a Saudi agent beat and tortured Khashoggi in the Saudi consul’s office, and eventually cut off his fingers. The Turkish official added that the agent later cut off Khashoggi’s head and dismembered his body. On Tuesday, The Wall Street Journal cited Turkish officials as saying that Saudi agents beat, drugged, killed, and dismembered Khashoggi in front of the Saudi consul general. Around the same time Al Jazeera Arabic – a TV network funded by Qatar, a regional rival to Saudi Arabia – reported that a forensic surgeon told colleagues to listen to music as he cut Khashoggi apart. 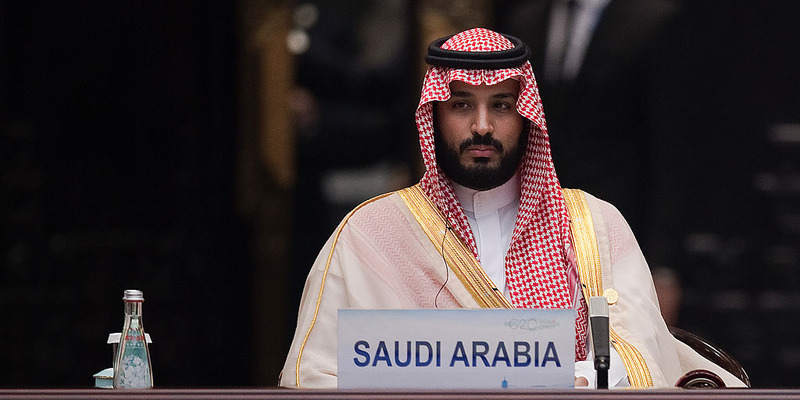 These reports – all sourced from Turkish officials – have spawned headlines around the world, and have stiffened the response of Saudi’s critics. Republican senators Marco Rubio of Florida and Lindsey Graham of South Carolina cited the grotesque violence of the death in their criticism of Saudi Arabia. The editorial board of The Washington Post, for whom Khashoggi wrote columns, also cited his alleged dismemberment to call on Turkey to release evidence. Nicolas Asfouri – Pool/Getty ImagesSaudi Crown Prince Mohammed bin Salman in September 2016. Khashoggi’s case has also become a test for both the Trump administration’s relationship with Saudi Arabia, and with Congress. Foreign-policy experts told Business Insider last week that Khashoggi’s disappearance is “embarrassing” and a “crisis” for Trump, and say that it could cause a chasm between Trump and the Republican foreign-policy establishment in Congress. Pool/Getty ImagesDonald Trump has touted his warm relationship and arms deals with the Saudi monarchy. 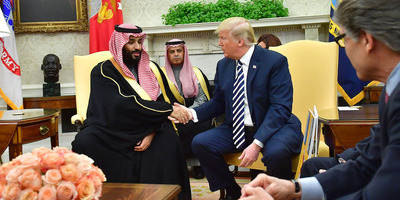 Here, he meets Crown Prince Mohammed in March 2018. Another reason behind the global outrage is the fact that Khashoggi has powerful friends in influential places. Saudi Arabia has since 2015 been involved in a bloody civil war in Yemen, which according to some calculations has caused 50,000 deaths. But Khashoggi episode has commanded more top-level attention and action in the past two weeks than Yemeni suffering in the past three years. “Saudi policy has resulted in hundreds and thousands of dead in Yemen. None of them have the same number of friends as Khashoggi did in DC, nor did they have platforms on the world stage. Indeed, we don’t even know their names. “Although the Saudis have cracked down before – both internally and have air-lifted dissidents back to the kingdom, this episode is different: It feels as though the new Saudi leadership believes it can act with impunity because it has a strong relationship with the White House – that is a new Saudi Arabia.